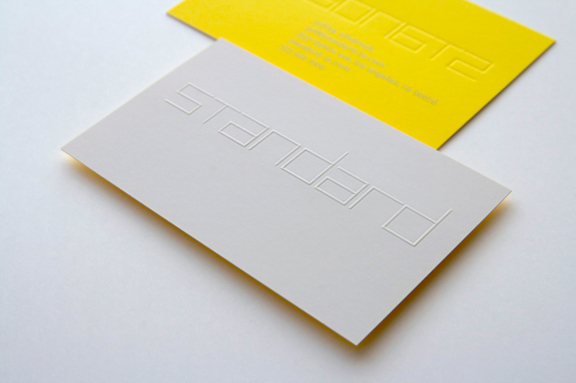 Identity design for design and architecture firm Standard. 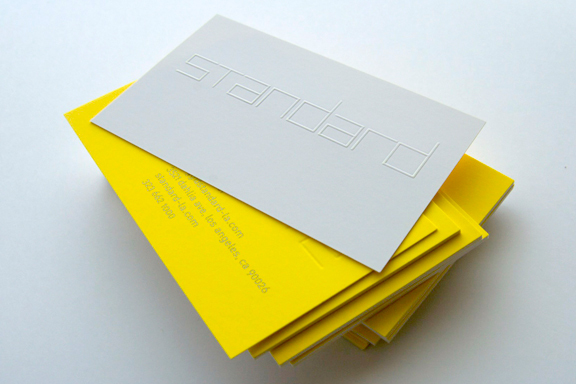 Established in1992 as an art and architecture gallery in Venice,California, Standard evolved into an informal collaboration of a small group of architects, artists and writers with shared interests in contemporary art, architecture, and the urban environment. Today, Standard has grown into a multidisciplinary architecture and design practice with offices in Los Angeles and New York City. 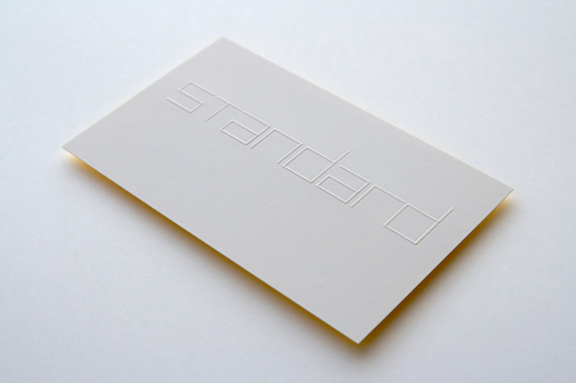 Standard’s ethos derives from the firm’s mastery of craft and process and fundamental belief in collaboration. The firm’s meticulous attention to detail and commitment to relationships based on dialogue, continuity and trust ensures work of high quality and integrity. Standard produces architecture that responds effectively, efficiently and succinctly to a project’s context and a client’s needs. Standard’s designs are elemental, evocative and precise. Since its inception, Standard has delivered projects for a discerning clientele that includes artists, writers, filmmakers, educators, clothing designers and fashion trendsetters. With projects across the United States, including recent commissions in Los Angeles, San Diego, Northern California, Las Vegas, and New York City, Standard has completed a substantial body of residential, retail, commercial and educational work. Standard’s partners-Jeffrey Allsbrook, Silvia Kuhle and Keith Krumwiede- bring extensive international experience to the firm having worked in Mexico, Great Britain, France Germany and Austria. RMD designed their identity system comprised of logotype, stationery system, PR package, and website design. Rebeca Méndez creative director and designer. Assistant to designer and production: Donnie Luu. Standard Business Card. Front: Embossed. Back: fluorescent yellow and silver inks. Standard Business Card. Front: Blind Emboss. Back: Fluorescent Yellow and Silver.